Very good meeting with Minister Jimmy Deenihan and members of Irish Rail’s Property Portfolio Dept yesterday at Leinster House. Another hurdle overcome and probably a few more to come, but the “Fat Lady” is beginning to warm her vocal chords!!! 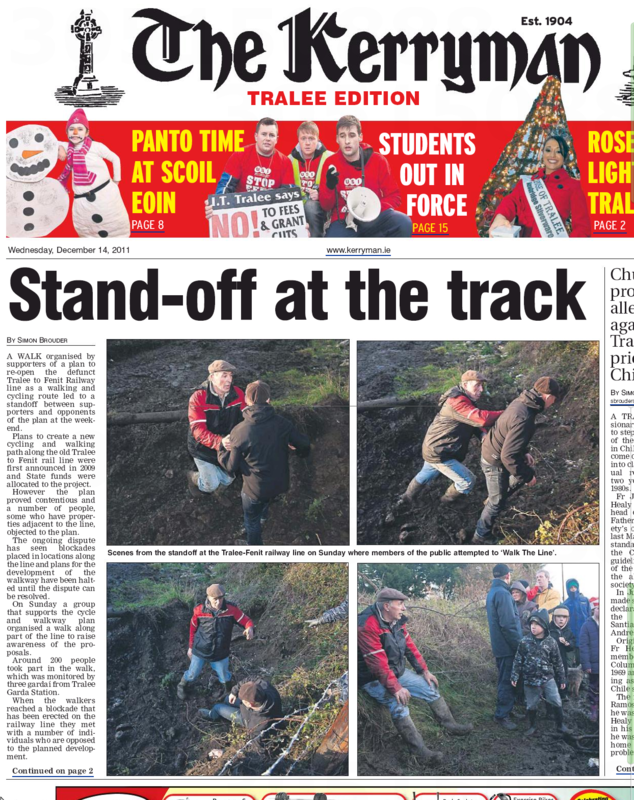 Last weeks walk makes the first page of the Kerryman. Despite the multiple ditches, barbed wire and JCB the hearty group successfully made it to Mounthawlk (with a little help from our local Gardai) for tea and brownies. Great to see over 200 people of all ages come out on a cold wet Sunday to show that we won’t stand back and see our public land stolen, hopefully the greenway can progress now as planned. If a picture is worth a thousand words, this video is worth 7 million euro ! Take a look at this video of the Newport-Mulranny section of the Great Western Greenway, we have the opportunity [and more importantly the funding] to have something similar on our door step ! This route has been hailed as major success by all, Fáilte Ireland estimate that the path would bring €7.2 million [ yes that is not a typo – read the report ] a year into the local economy . 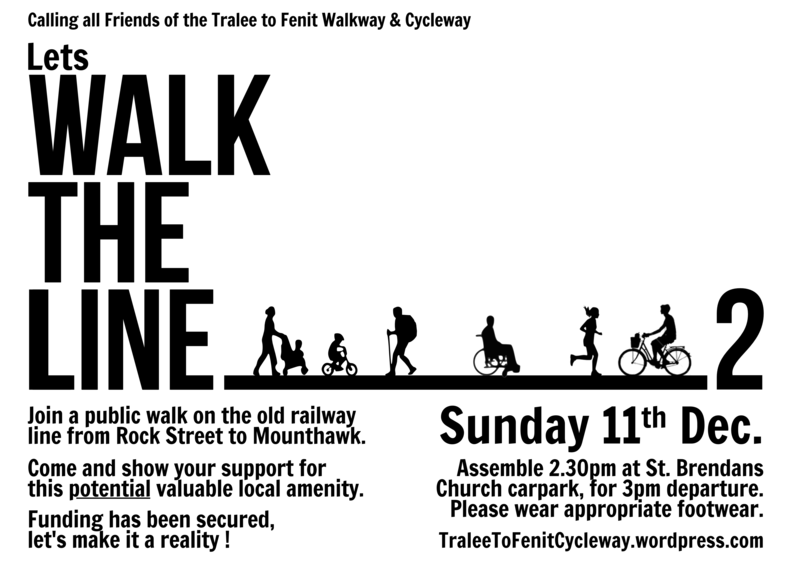 To put the routes in context the Newport to Mulranny is only 3km longer than the Tralee to Fenit line. This could be our [green]way out of recession ! Posted in Tralee to Fenit Cycleway/ WalkwayTagged greenway, mulranny, newportLeave a Comment on If a picture is worth a thousand words, this video is worth 7 million euro ! Hey Folks, we have set up a support page for the project on facebook, so get posting and please share the page with your friends !